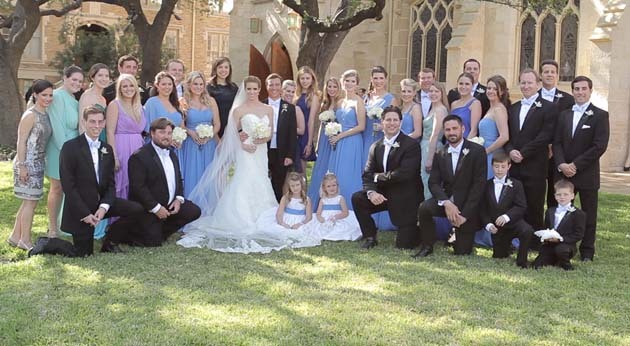 St. Mark's Episcopal Church | "Luckiest Man Alive" - Annlyn & D.A. Annlyn & D.A. had a beautiful spring outdoor reception at The Argyle club--at the ocean-inspired reception party, guests were treated to a diverse buffet that include a shrimp bar, sushi bar, and taco bar. The flower girls and ring bearer ran from place to place enjoying the discovery of the different ice sculptures scattered throughout the party--including a mermaid and a dolphin. As if that weren't enough, Cheesy Janes (http://cheesyjanes.com) food truck showed up to feed the party crowd some late night sliders. Yum, oh! We left the party so energized, because the band plowed through hit after hit, switching members in and out so that they played continuously without a break, keeping the party going all night long. Earlier in the day, we met up with Annylyn as she arrived at the ceremony site, St. Mark's Episcopal Church. St. Mark's is a beautiful building, filled with history. Lyndon B. Johnson and Lady Bird Johnson were married there! 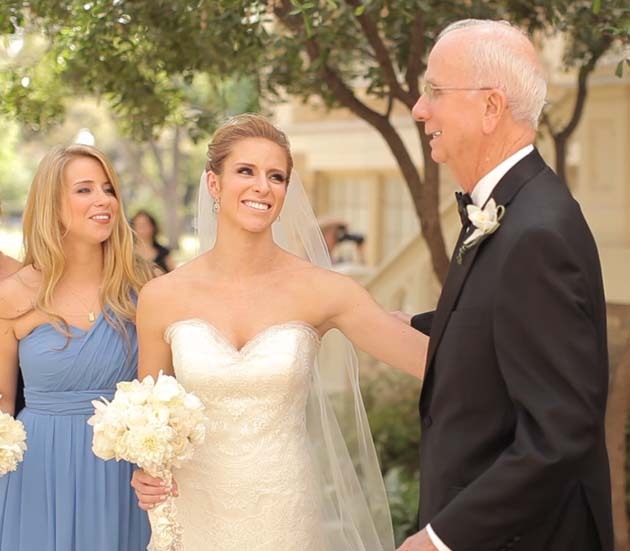 Outside the gorgeous stone cathedral, family calmly gathered to begin taking photographs before the wedding ceremony. 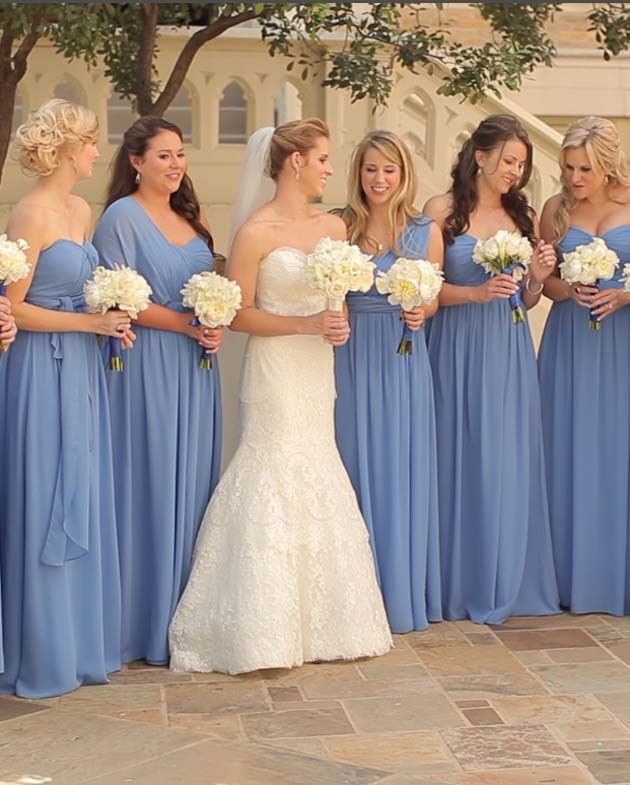 The bridesmaids floated in Grecian blue gowns and the ring bearers had their checkered bow-ties straightened. The stone and stained-glass building towered over the group, but the day seemed to have no shadows as Annlyn and D.A. prepared for their first look before the ceremony. D.A. was completely smitten when he saw Annlyn for the first time in her wedding dress. Every few seconds he stopped to tell her how beautiful she looked, and before their portraits were done, he had declared himself to be "the luckiest man alive."